Truth be told, it’s actually becoming quite amusing how shared cinematic universes are gaining steam these days, something we obviously have Marvel Studios to thank for. Sure, Warner Bros. following suit with their DC superhero properties makes perfectly logical sense given the nature of the source material, but some instances of this practice are becoming a bit hard to swallow. 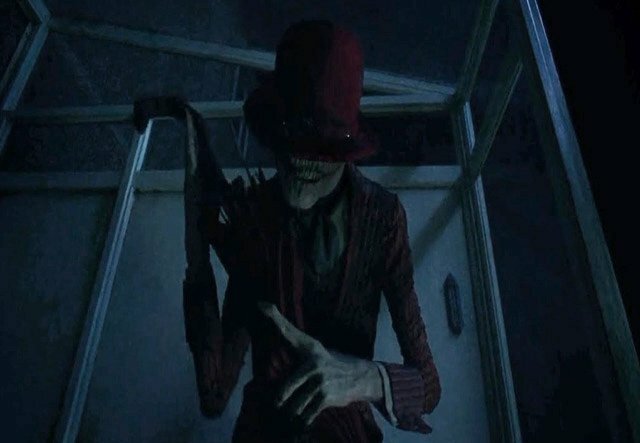 So, while we sit back and see if something spewed forth by the Dark Universe actually turns a profit domestically or dream of a shared continuity inspired by Tom Clancy video games becoming a reality, we’ll have to settle for things like The Crooked Man. Although there’ve been whispers of such a spinoff coming to fruition as of late, it’s always for the better to get actual confirmation, right? That being said, one has to wonder if this offshoot focusing on one of the grotesque entities spawned from director James Wan’s flagship series The Conjuring will retain the same level of thrills and chills that gripped moviegoers or if it will be another serving of dry toast akin to Annabelle. On the plus side, Wan mapped out the story, with Mike Van Waes being brought aboard to pen the script itself. What’s funny is that someone actually beat WB to the punch in 2016 by releasing a made for television movie titled The Crooked Man that aired on SyFy, a revelation that shouldn’t shock you in the slightest. Starring Michael Jai White, it featured an antagonist similar in concept to what was seen in The Conjuring 2, but was aesthetically different enough as not to warrant a cease and desist order. Still, it’ll be interesting to see if that’ll have any effect on the titling of this particular iteration or not.